If you’re a fan of the show, you know we expect a lot from our truck and one of the ways we maximize its use is with a Diamondback truck bed cover. Not only does it act as the best means of transporting our fleet of ATVs and Side-x-Sides atop the truck bed but also acts as the Fort Knox of truck covers thanks to a newly designed deadbolt style locking mechanism mated to the 3/8-inch rods that extend under the all aluminum bed cover, securely held in place under the truck beds top rolled lip. Versatility and confidence are probably the two most common words out of the mouths of Diamondback owners when describing what they like best about it. 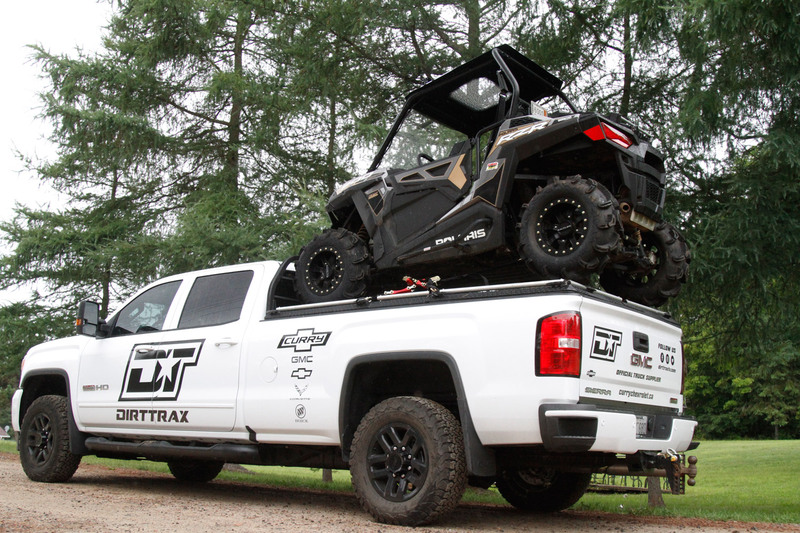 Whether you're side-loading two ATVs or transporting a smaller Side-x-Side, the ability to free up your truck bed for gear and also tow a camper makes for the ultimate weekend adventure. It is examples like this that have made Diamondback Covers the perfect choice for avid sportsmen, outdoor enthusiasts and even weekend project warriors. In fact, when play does turn to work your DiamondBack truck cover goes the extra mile with up to a 1600-pound load capacity with the HD covers and newly designed tie-down cleats offering 1200-pounds of tensile strength. You can be sure the load you are transporting will be secure and within the limits of the law. Diamondback Covers are built in the USA, come with a lifetime warranty and when you order online you are guaranteed free shipping. For more information visit them at diamondbackcovers.com.